The company Sanchez Cano SA was founded in Molina de Segura, Murcia (South East of Spain) in 1973 and it is still owned by the family with the same name. They have about 550 employees at the moment and some years ago a factory in Brazil was added to the initial Spanish factory. The company has also branches in UK, Chile and Portugal. 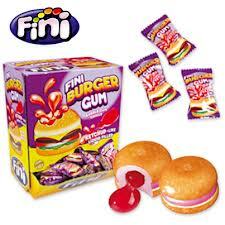 In their web-site (www.fini.es) they claim to be market leaders in Spain for Marshmallows, jellies and liquorice. They have two main brands for chewing gum: FINI and KLET’S. They are specialists in balls (hollow of filled with liquid). The brand KLET’s covers the sugarfree dragees. During last ISM, FINI launched a new version of the sugar free coated pillows, named KLET’S ENERGY, which contains taurine and caffeine. 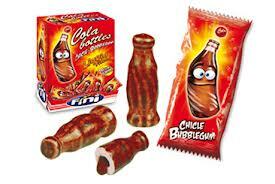 Also new was the “Burger Gum”: A bubble gum with interesting shape and also “MEGA COLA” which a gum with the shape of a cola bottle. I thank Mr Manolo Nicolas for his time and explanations and also for taking me to the stand in front of FINI, where I met Mr Max Eisenbud, who explained me about the chewing gum brand launched in August 2012 by the world-famous tennis player Maria Sharapova. 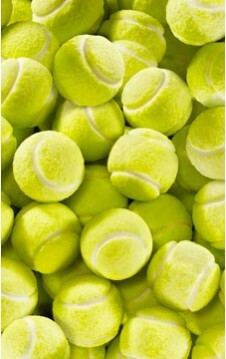 The venture is named SUGARPOVA (www.sugarpova.com) and includes different types of sweets, but in terms of gum they have nice tennis balls like the ones in the picture. This product is produced by Sanchez Cano and that’s why I include it here. The image of both stands and the products are really outstanding.